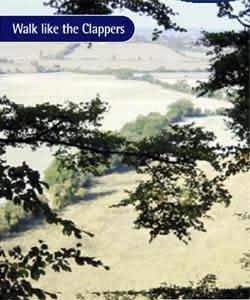 Chilterns Country-Walk like the Clappers at Harlington Walking RouteEnjoy the fresh air and fantastic views of the Chilterns countryside. These 3 circular walks take you to the top of the Chiltern Hills, across meadows carpeted in wildflowers and through magnificent beech woods. You can choose from a long, medium and short walk. Start/Finish Point: Long and Medium walks start from Harlington Railway Station. Short Walk starts at The Lynmore public house in Sharpenhoe. Start Nat GR: TL035304 (Harlington Station), TL065306 (The Lynmore PH). Enjoy the fresh air and fantastic views of the Chilterns countryside. These 3 circular walks take you to the top of the Chiltern Hills, across meadows carpeted in wildflowers and through magnificent beech woods. You can choose from a long, medium and short walk. How to get there by car/Parking: For Harlington, leave the M1 at junction 12 and turn onto the A5120 Harlington Road and follow signs for the village. Harlington rail station car park (there is a charge). You can park in the pubs at Harlington or Sharpenhoe if you buy food or drink. It is possible to follow these walks from the free car parks at Sundon Hills and Sharpenhoe Clappers.